In 1977, BMW was the first car manufacturer in the world to offer driver training and became a pioneer in the field. 40 years later, the BMW and MINI Driving Experience offers a range of training options that allow participants to develop their driving skills on an individual basis. There are a host of training experiences to choose from in current BMW cars, as well as MINI vehicles and training for motorcyclists. The BMW Customised Experience also provides the opportunity to browse all the available vehicles, training locations and training content to put together a tailored, individual event. As part of the anniversary event at the BMW and MINI Driving Academy site in Maisach, journalists had the chance to test BMW models from various eras, supervised by professional instructors, and get a feel for the mobility of the past, present and future. The journalists felt the fervour of the active driving experiences in Maisach, travelling through time to see the development of the various stages of mobility. They completed braking and evasion exercises in current and historic BMW cars, which allowed them to compare driving with and without assistance systems such as ABS and DSC. At the wheel of a BMW M550i (fuel consumption in the NEDC combined cycle: 9.1 – 8.6 l/100 km; CO2 emissions combined: 209 – 204 g/km)*, participants got to experience modern driving assistance systems, such as lane keeping assist with active side collision protection, steering and lane control assist, including traffic jam assist, and the speed limit information system with “Intelligent Speed Limit Assist”. Laps in the BMW M4 GTS (fuel consumption in the NEDC combined cycle: 8.5 l/100 km; CO2 emissions combined: 199 g/km)* and the BMW M4 CS (fuel consumption in the NEDC combined cycle: 8.4 l/100 km; CO2 emissions combined: 197 g/km)* provided an extra helping of driving pleasure. Active in more than 30 countries worldwide, the BMW and MINI Driving Experience competence centre provides around 50 different courses for BMW and MINI models, as well as BMW motorbikes, under the guidance of professional instructors. More than 25,000 people took part in training courses across Germany in 2016, with more than 100,000 participating around the world. “Passion leaves traces”: according to this motto the BMW and MINI Driving Experience makes an important contribution to driving safety on public roads and also conveys the driving pleasure that is typical of BMW. Driving safety training on snow and ice allows the BMW and MINI Driving Experience to contribute fully to a sense of social responsibility. This area also includes internal BMW driver training. The courses take place at spectacular racetracks and include some drift courses, which provide customers with exciting, action-packed experiences in high-performance BMW M models. The BMW and MINI Driving Experience also goes beyond the standard training schedule to meet individual customer requests. A dedicated team, specialising in corporate events and incentives, works closely with customers to put together offers that are tailored to specific requirements. The global strategic orientation is consolidated and focuses on establishing additional driving experience markets. 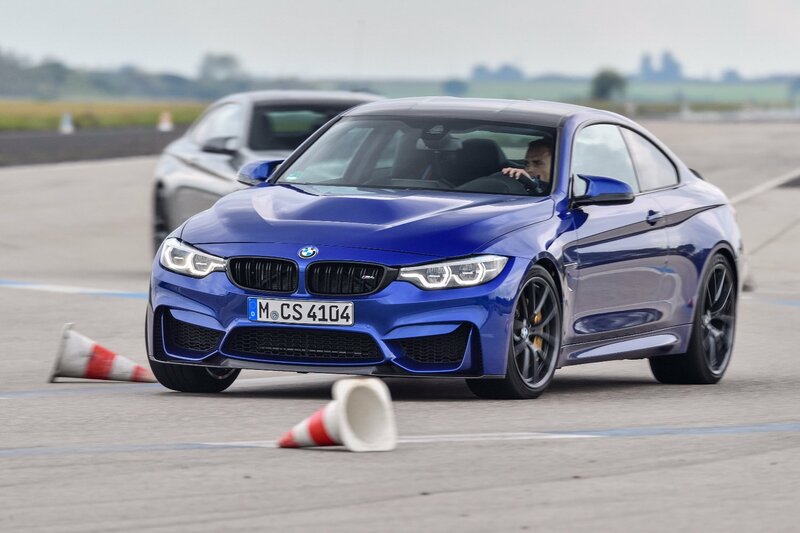 Numerous international locations meet the demanding criteria that the BMW M GmbH places on BMW and MINI Driving Experience driving safety training by BMW M GmbH. The Netherlands, the USA and Scandinavia already boast certified locations and more are currently in progress – South Korea and South Africa being just two examples. In the future, the emphasis will continue to move to technology transfer in the areas of drive systems, driving assistance systems and connectivity. E-mobility, interactivity and autonomous driving are playing an increasingly important role. The BMW and MINI Driving Experience is developing new core competencies in these areas. The objective: react to customer requirements and provide them with the opportunity to develop basic driving skills in a controlled environment, with professional instruction. It is also important to make technology in modern BMW and MINI cars easier to understand and experience. BMW driver training will continue to make a long-term contribution to driving safety in the future.